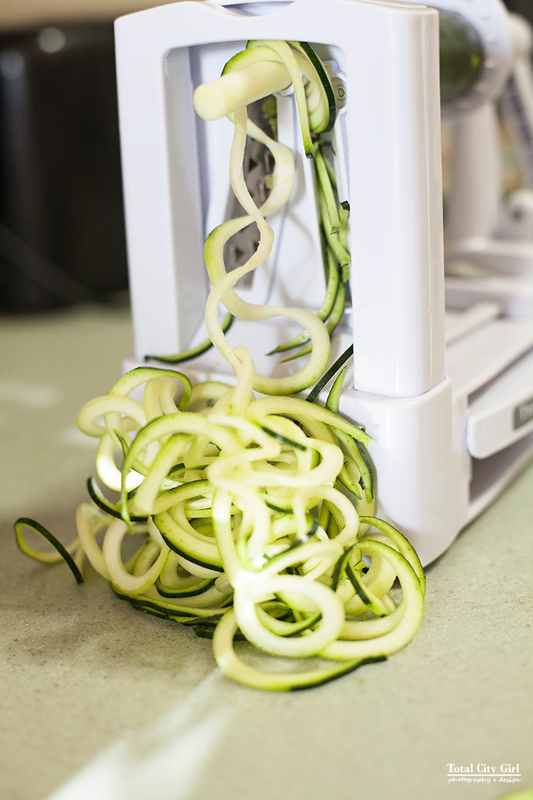 Have you caught the spiralizing bug yet? I have!! It’s when you make vegetables into spiral curly noodle shapes. 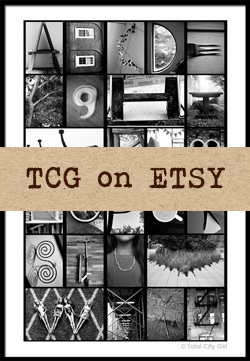 There are lots of gadgets out there in various price ranges that do the same thing. I’ve been using one called Veggetti. 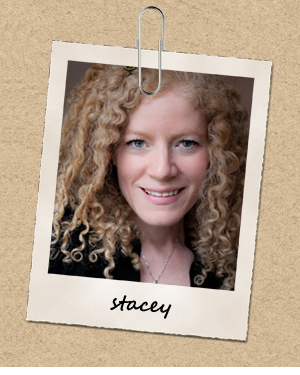 I know – weird name, right?!? 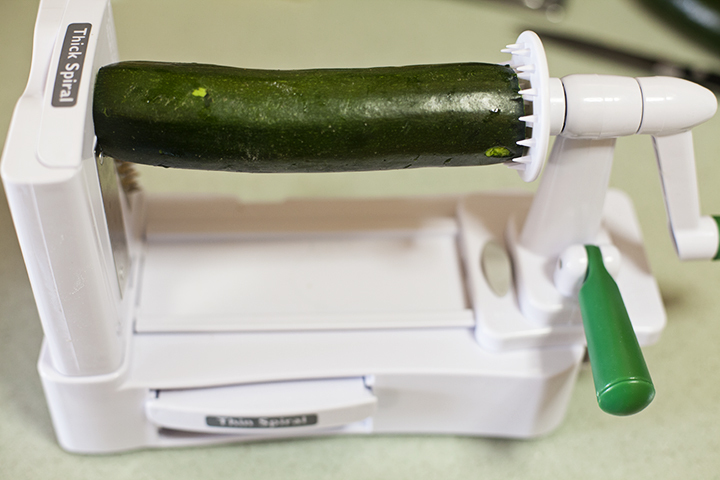 It’s fun and easy to use and the kids get into it as well which means they’re more likely to want to eat those curly veggies, which is a good thing! I only had 2 plum tomatoes so that’s what I used. 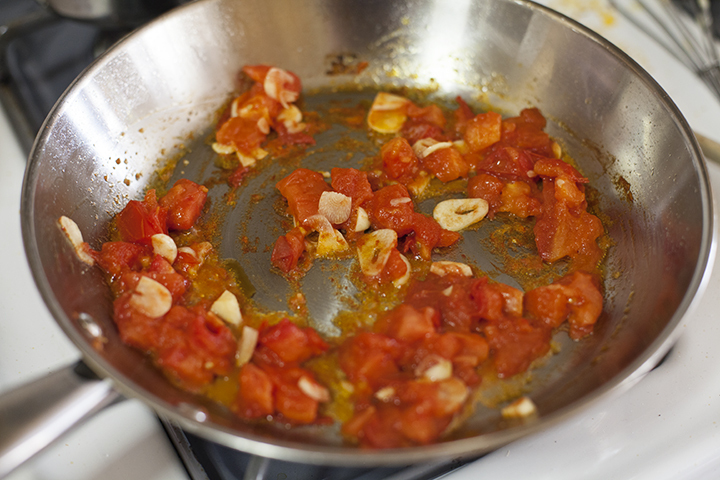 My tomato of choice is normally grape tomatoes but just use what you like and more importantly what you have on hand. 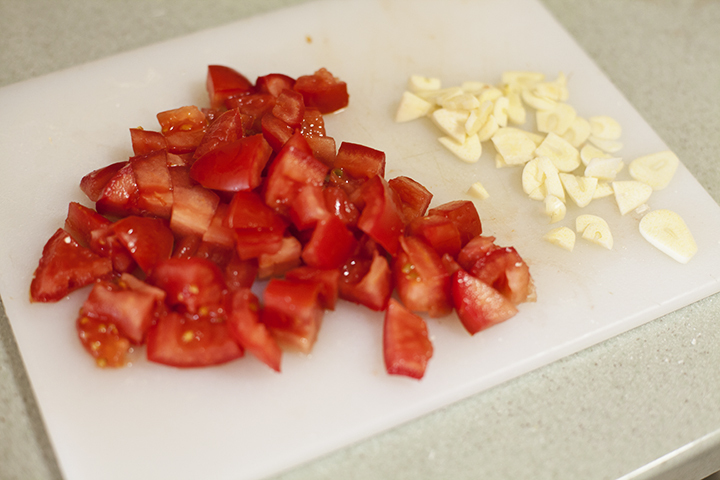 I chopped that up with 2 cloves of garlic. Cook in a pan for a few minutes with olive oil and season with salt and pepper. 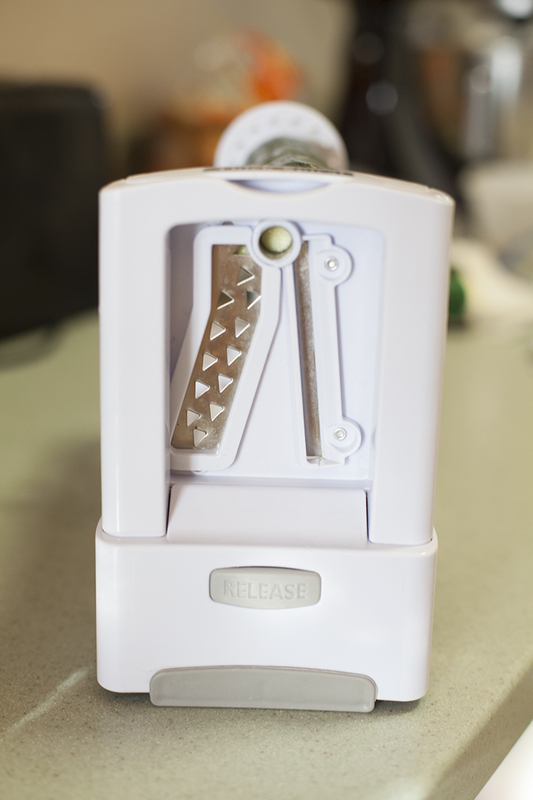 It comes with 3 different blades but I mostly use the thick cut blade. This is where the curls are going to come out. 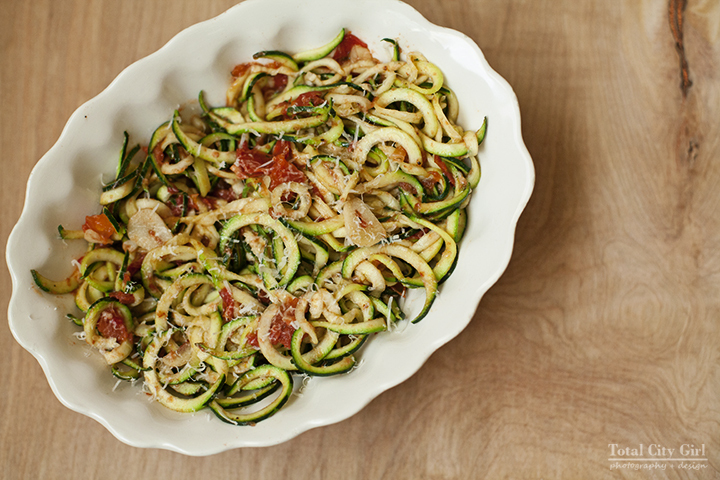 You get a lot out of 2 zucchini. 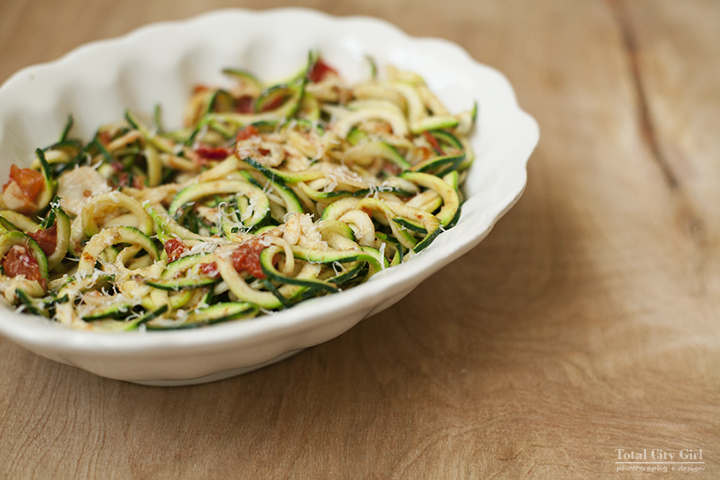 Put your zoodles into the pan with the tomatoes and garlic, mix around and let it cook for a few minutes. You can add a little more salt as well. That’s it – done! I sprinkled a little fresh Parmesan on top for an extra layer of flavor. It was really good and the family liked it which is always a bonus! 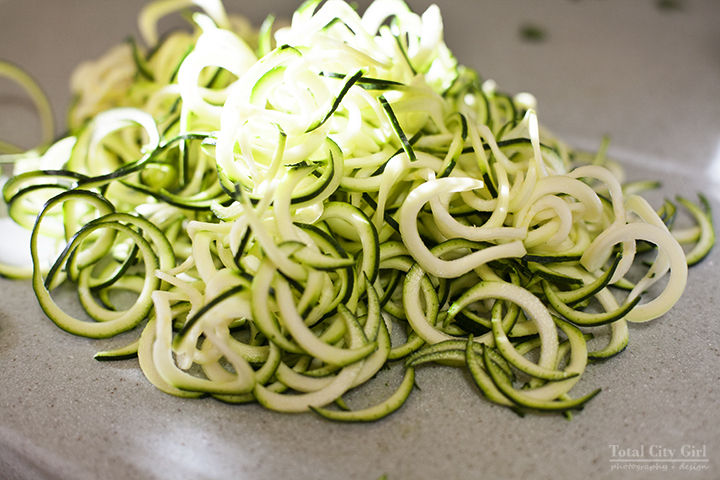 Have you tried making veggie noodles? What’s your favorite?